I was having some trouble thinking of how to start this post. Well, now it’s started — with some very fine prose. This is actually one of my favorite opening lines to a novel. I’ve been experiencing the season of Light and the season of Darkness, as we all do. But there are some things that are WORKING! When Sunshine Girl left for college in August, her bedroom asked us what was going to happen in there now that she had taken her art supplies, Snapchat conversations, books, extensive collection of coffee mugs (still growing!) and HIMYM marathons off to college. We turned it into an office for me. An office with a door, wall space, windows, and a closet. With the space to organize my things and write, having an office is WORKING! Last post I mentioned Kepler is in 5th grade now. We had some excellent help in the spring as we worked on his IEP for this year. He is getting one-on-one instruction in reading and math and the effects are showing up in his reading at home. He loves his teachers and aides and I see him developing more and more independence. 5th grade is WORKING! After years and years of being on the road for work, Greg took a job with a local organization he has wanted to work with for about 12 years. An opening arose earlier in 2017 and he started this new job on September 5th. He leaves in the morning and comes back in the evening. No more leaving on Sunday and coming back on Friday or Saturday. Can we all say, “Whew!” It’s been a lot of years trying to manage the challenges that go along with one parent being out of town the majority of the time. Greg living at home every day is WORKING! Every so often I fall right into a juicy pot of wisdom and helpful practices and teaching. Many times I swim around a bit and get very excited about what I’m learning and then I go to sleep and the next morning I’ve seemingly forgotten everything I just learned and experienced yesterday. The past month has been a time where some of the things I’ve experienced and learned have come back into my consciousness and awareness and I’m remembering. I’m remembering. I think I’m starting to find a sweet spot where several of these rich experiences are converging. Remembering is WORKING! Perfection reminds me of a mirage. I think I can see it off in the distance, and I imagine I’m coming closer and closer, only to have it fade away, time and time again. While I’m not looking for perfection anymore (at least not as much), I have a pretty old habit of thinking I should be able to attain it. I’ve devised some duplicitous ways of running after it without actually saying the word. One step forward and two steps back is a real thing. Or two steps forward and one step back. Recently, though, I had a major realization that may only be two steps forward, but they are giant steps. A wise friend pointed out to me that my tendency toward literal thinking is NOT a defect. It is the way my brain works. Similar to the brains of persons on the autism spectrum who think very literally, turns out some brains of people not on the spectrum can have the same characteristic. I had become quite distressed over the past few years about thinking so literally. It got me into trouble in many situations as I naturally took things very literally. “I’ll be there a little after 11” means exactly that and it doesn’t occur to me that someone might hit all the green lights and arrive ten minutes early. “I’ll pick up the drycleaning” means you will. pick it up. today. I don’t anticipate that you might have to drive some route that doesn’t go by the drycleaner today and you’ll get it tomorrow. “You should not eat ice cream, sugary desserts, and junk food” means I should never eat those things. Does that make sense to you? It wasn’t until my wise friend asked me to consider thinking about literal thinking differently that I could finally accept the way I naturally think. Am I hard-wired this way? I don’t know. Almost doesn’t matter. The key is that I no longer see it as a defect that I must somehow stamp out at my earliest opportunity. 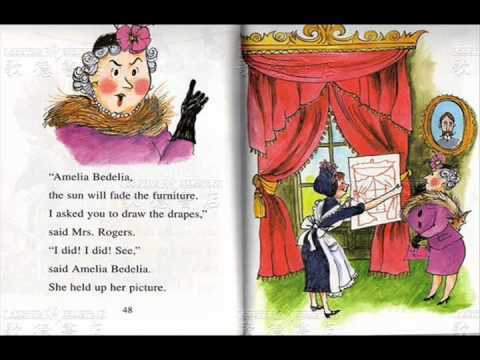 I’m like Amelia Bedelia. When Mrs. Rogers would ask her to do something, she always took it literally and ended up making comical mis-steps as she tried to do exactly what her employer had asked. Well, it’s not so funny when you try to do exactly what someone has asked and it turns out not to be what they meant! The realization that I don’t have to take things literally leads me to exciting new discoveries and freedom to experiment. While this is still an area I am growing in, understanding that my literal thinking is an ok part of my brain is WORKING! I like to think I will be posting more often than every 3 months, and if I do, we might get some momentum going here on my blog reaching more people who might learn something from my journey. Thanks for reading!